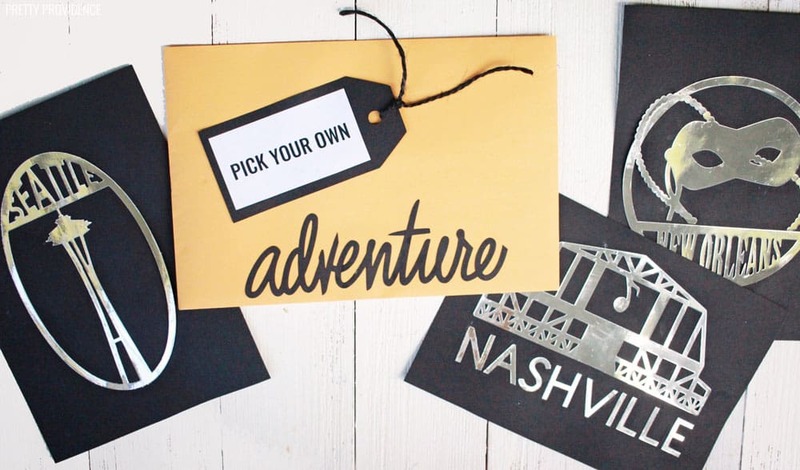 If you are looking for a gift for someone who loves to travel, you’re going to love this ‘Pick Your Adventure’ travel gift idea! It was my husband’s birthday last month, and we had been talking for months about planning a weekend away soon. His parents had offered to babysit, we just hadn’t made the plan yet. Life has been keeping us so busy! So, for his birthday gift, I decided to start the planning process. I picked a weekend that worked for the grandparents to stay with our kids and that we didn’t have anything else going on. Here’s why I think this is a great gift – at least for a guy who doesn’t love the planning part of a vacation. Making the babysitting arrangements, hemming and hawing about when and how and where, that’s not fun. Right?! By choosing when to go and taking care of the childcare, I just took out the complicated stuff and left the fun planning for him to help me with! I decided I’d give him three options to choose from. Three cities we have talked about visiting together, but haven’t yet – Seattle, Nashville and New Orleans. I wanted to make three cards to give him inside an envelope, so that he could open this gift with the rest of his birthday presents. On the front of each card was a silhouette of something the city is known for, and on the back I typed up three different landmarks or foods that can be enjoyed. I used my Cricut, some card stock, mod podge and regular printer paper to make the cards. Cut a standard piece of card stock in half. 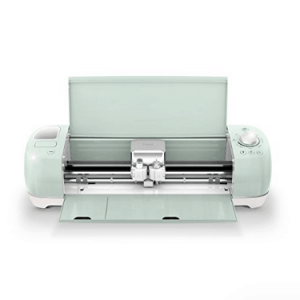 Use a Cricut machine to cut the city silhouettes out. (This part is totally optional.) 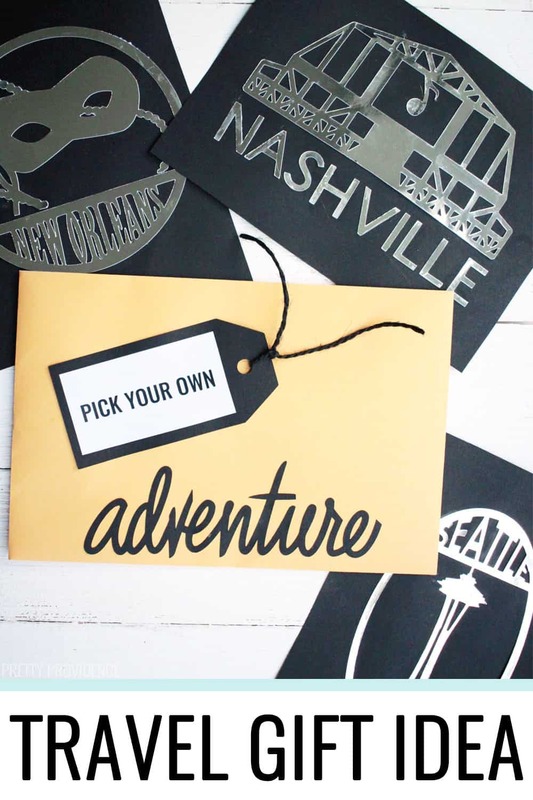 Below you can find the links to each of the city silhouettes I used, available with Cricut Access. Use a word processor to type up three of the things you’d like to do in whichever city you’re visiting. Print the activities lists and cut them out with scissors. 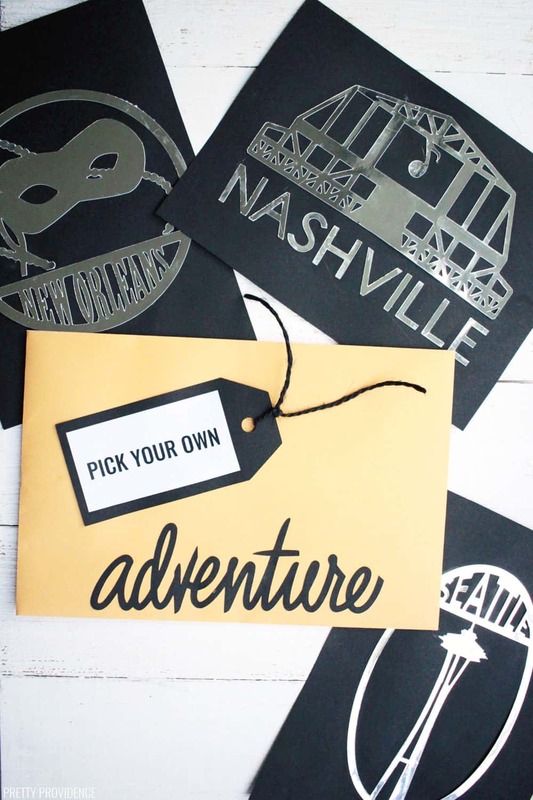 Use mod podge to attach city details and activities on either side of each piece of card stock. Put cards inside a manila envelope. In case you’re wondering, we decided on Seattle. 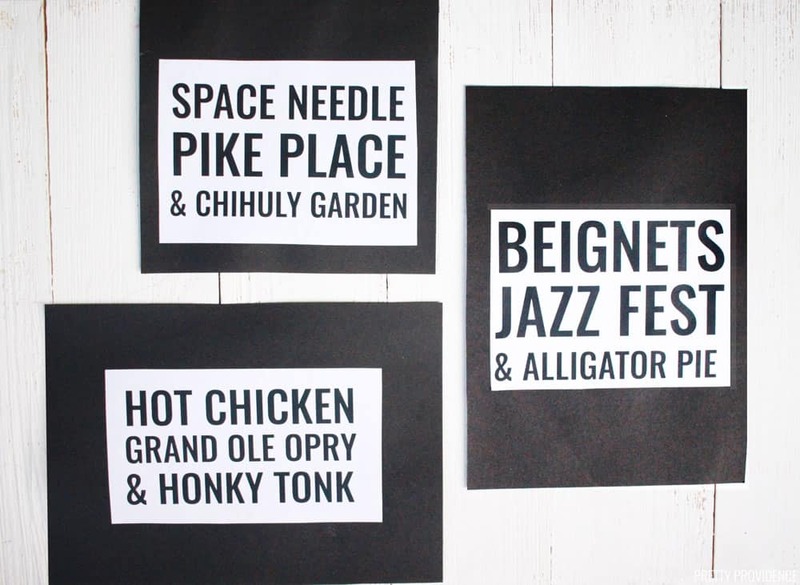 Having done a little bit of research on New Orleans and Nashville has me wanting to plan those trips ASAP, too! If only we had unlimited resources. Ha! 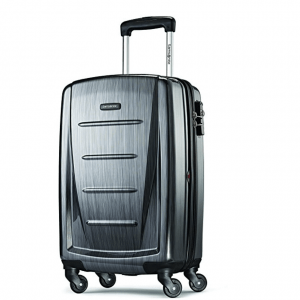 I think another great gift for travelers is luggage, but my husband just bought himself a new suitcase at the beginning of the year. 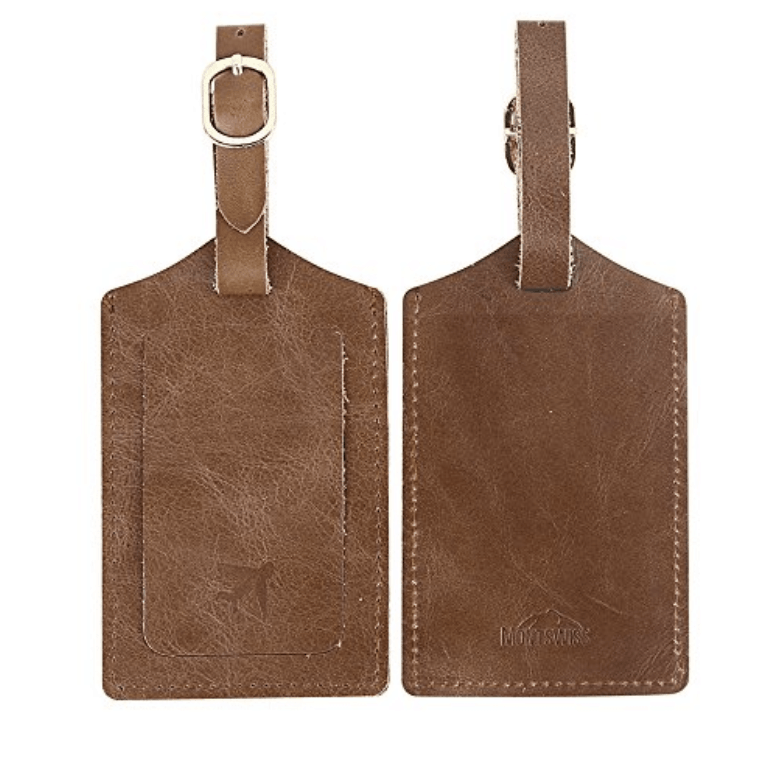 I did get him some luggage tags to go with it, though! Another fun idea would be giving airline gift cards. Have you ever done something like this? I’d love to hear how it went! !